This Cuban is an amazing release. When opening the box, the aromas released smell like Cuba. Beautiful appearance, few veins, creamy claro wrapper gives a hint of what's to come. Steady construction, this cuban feels great by touch. 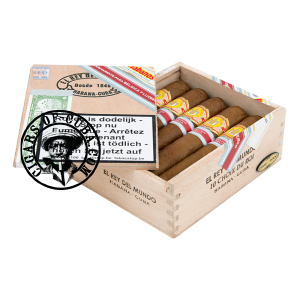 The first phase is very creamy, ample smoke, draw is great and strength is quite light. It does evolve to a medium strength cigar in the second phase. This cigar has enormous potential if aged, although already a great young smoke.